Location - The track is located to the South of Harrisburg PA. Before you go check out the Civil War Museum at Gettsburg and head east on US-30. From US-30 simply take a right down Kinneman Road and you will find yourself at the race track once you arrive at the creatively named Racetrack Road. Parking - In in a field adjacent to the track. The stadium does have reasonable capacity so for a big show you might want to get there at a reasonable hour. 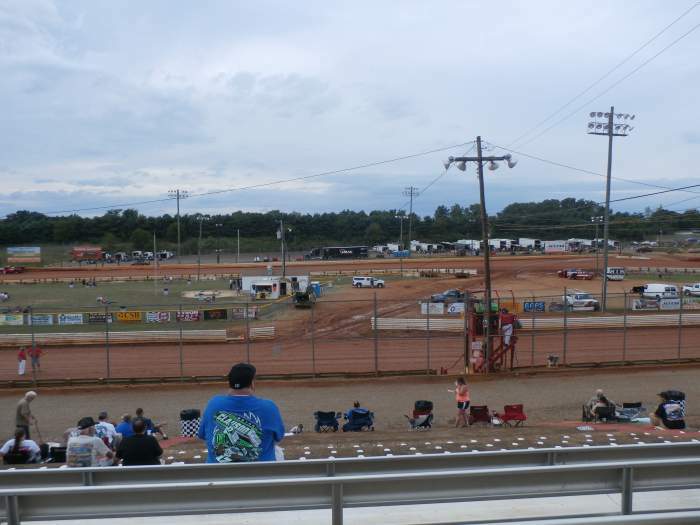 Premiere Meeting - The Dirt Classic is a late season $20,000 to win 410 winged Sprintcar race. Given the depth of talent in PA this one will be a big meeting but can anything compare with a World of Outlaws show in Posse heartland? 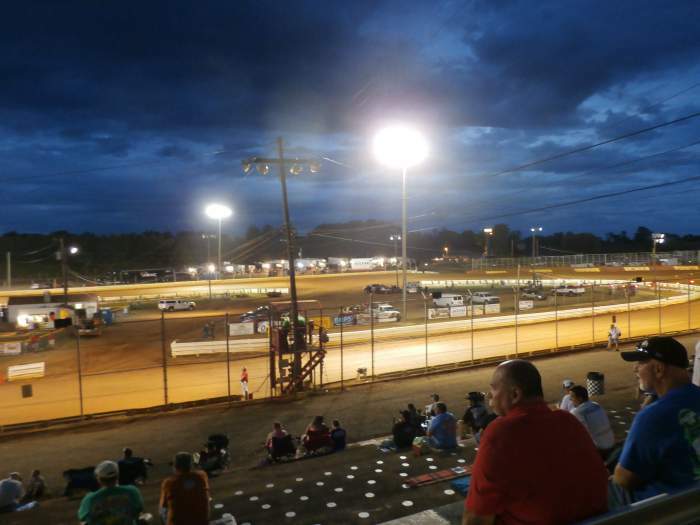 Also worth attending - The All Star Sprints based out of Ohio regularly venture across the border into PA. Their appearance would well be worth the entrance fee. If you're a Midget fan the USAC Midget show might be worth a look. Best spot to sit - The expansive and entensive main stand extends along the front straight. 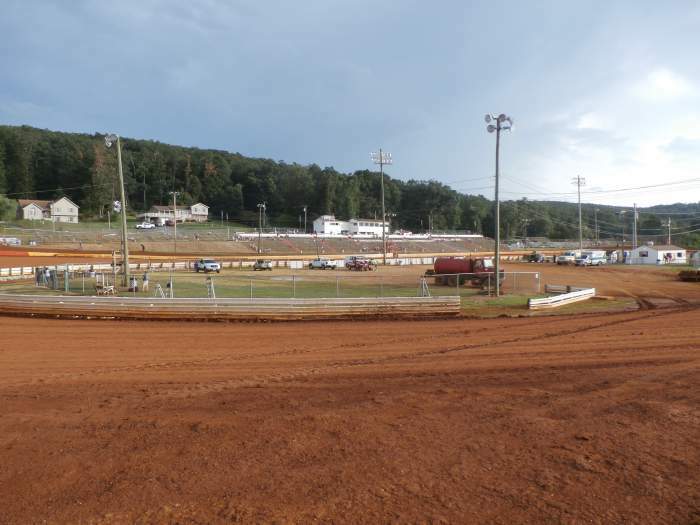 It has great viewing height so sit up near the bank for a great view of the track. spot. 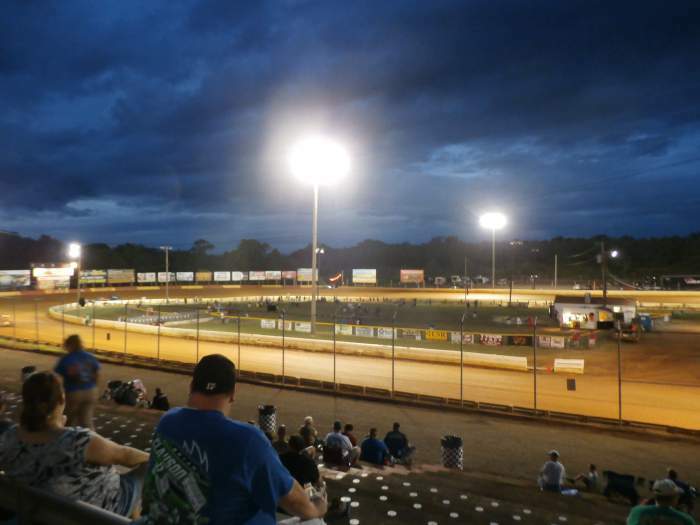 Classes run - 410 Sprintcars, 358 Sprintcars, 305 Sprintcars, US Street Stocks, 358 Late Models, Super Sportsman, Central PA Legends. 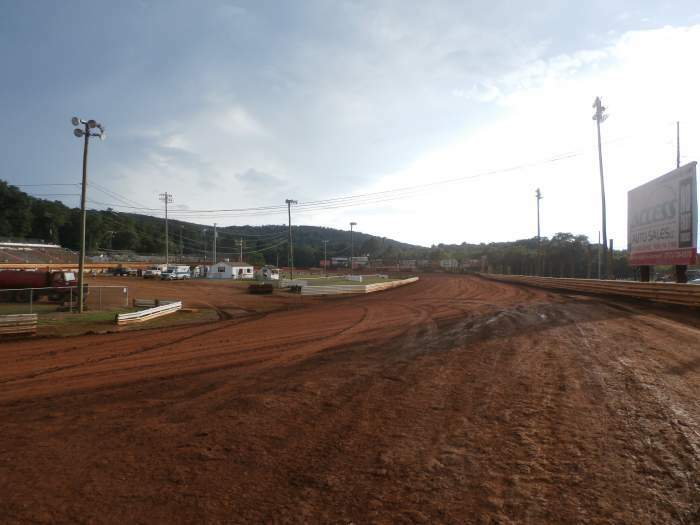 Uniqueness - The 3/8ths mile features long straights with nicely apportioned corners. Visually it looks similar to Lawrenceburg in Indiana and this place has a similar reputation for action. When Percy visited the track developed nicely and produced good racing when a decent number of cars were on the track. The track slogan is "Where Action is the Attraction".